"THE REAL K" SS Vintage K Badges for all 2008-2013 Soul models. This is the ACTUAL Kia K styled logo which came standard on Kia vehicles in Korea until 2007. 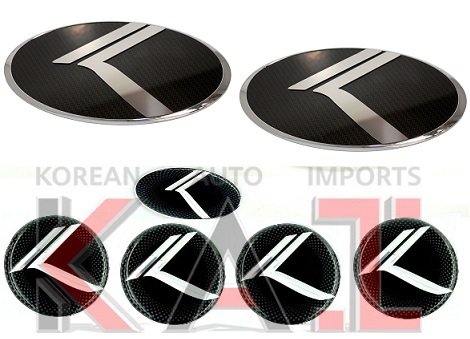 Give your modern KIA vehicle the TRUE "Vintage K" logo to proudly represent the heritage of the KIA brand. Available in a wide range color combinations to suite ANY vehicle's style. New high-quality metal base design with stainless steel K logo. Choose your COLOR BASE/EDGE, CENTER and K LOGO by using the drop-down menu's above to create your own unique badge! Each badge includes high grade automotive strength 3M VHB adhesive backing for easy/secure placement. Backed by Loden's industry leading 3yr manufacturer warranty against any weather related issues.